Weekend Call to Action – Happy Memorial Day! #WeekendCalltoAction – Happy Memorial Day! – I suggest you do some type of post indicating you help Veterans do 100% home loans in honor of those fallen soldiers! -Do something to recognize the Memorial Day as a blessing for those that served and those than didn’t serve. And YOU help those that did take advantage of their VA Benefits. Something like that. 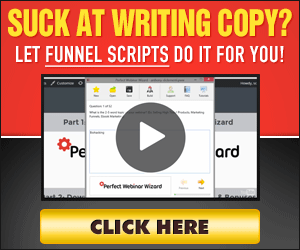 If you need help with ad copy let me know, I can even help you with the tools to help collect leads come to life. Reach out to me. No matter what this weekend is about to be HUGE with lead generation. If you don’t have some lead capture working for you to help source new business your missing the boat. Think about it. Friends and Families do gather together this weekend and some point people “scroll social media” all while sitting together. #TruthBomb – The behaviors of such indicate to me if I was a LO looking to generate leads, this is a great weekend to be running an advertisement. If you don’t do this yet you should. Marketing and lead generation from both paid and organic referral sources is a way to grow your business. I suggest you attempt to take your business to the #NEXTLEVELLO to learn more. I can help with the Blueprint and get you going on the organic side, then step up your game to the NEXT LEVEL!